There are 22 million people 6 years and older that play basketball in the US. The NBA generates over $7 Billion in revenue each year. The total season home game attendance for the NBA is almost 22 million. Here are 10 great basketball affiliate programs. Don't forget, we've also covered soccer and baseball too, plus more details about starting a sports-related affiliate site. SportsMemorabilia is the #1 provider of sports memorabilia online. They have items from almost every sports league, team, and player. Basketball fans can shop by NBA team, player, or item to find the perfect gift or collectible. Every product comes with a certificate of authenticity and is backed by their authenticity guarantee. Their average order value is around $280. SportsMemorabilia uses ShareASale to run their affiliate program. They provide their affiliates with a great selection of promotion tools including a product showcase, make a page, custom linking, and product discovery bookmarklet. Affiliates also have access to their product data feed with over 600,000 items. DonJoy Performance is the world leader in sport knee brace technology. Basketball is a physically demanding sport that puts stress on your joints. Their products help players protect themselves and stay safe in the game. Along with knee braces, they also carry ankle braces, elbow braces, sleeves, and athletic tape. Their average order value is $100+. DonJoy Performance uses AvantLink to manage their affiliate program. Affiliates have access to marketing materials, data feeds, and state of the art tracking tools. Their dedicated in-house affiliate manager is available to help answer any questions and offer advice on how to optimize your campaigns. They had an average conversion rate over 10% in 2015 which proves there is a huge interest and demand for their products. Pro Skills Basketball are the national leaders in youth basketball development. They have a variety of skill development programs including clinics, training, club teams, and camps for all ages and skill levels. They are headquartered in Charlotte, but have seasonal and year round programs in 12 other cities in the US as well as in China and England. They use ShareASale to run their affiliate program. Pro Skills Basketball provides their affiliates with banner ads, text links, and reporting tools to track their sales and commissions. Affiliates can also promote the content on their website that includes a great selection of blog posts, videos, and podcasts. 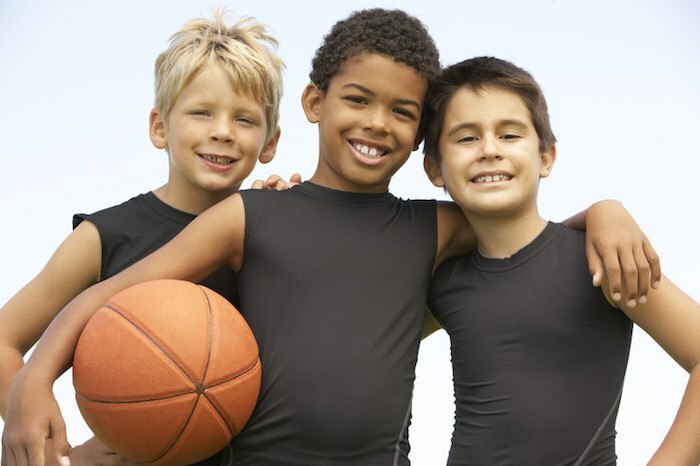 Affiliates can promote their programs to basketball teams, coaches, and parents as a way to develop and improve their players’/child's basketball skills. Fanatics is one of the largest online licensed sports merchandise shops in the world. They have over 250,000 products from all major professional sports leagues. Basketball fans can search for their favorite college or NBA team to find jerseys, apparel, fan gear, and more. Fanatics offers industry leading customer support and $4.99 flat rate 3-day shipping on all orders in the US. They've partnered with ShareASale to manage their affiliate program. Fanatics provides tools that let affiliates promote popular teams, category pages, and individual products. Affiliates also have access to banner ads, text links, and their product data feed. They also have instructional videos that were created to help their affiliates succeed. Sports Box Co. is a subscription box company for youth sports players. They have basketball, baseball, softball, hockey, football, and soccer themed boxes. Each box includes an assortment of training aids, accessories, gear, sports swags, and a monthly tip card to help encourage youth athletes to improve their skills and practice more. Their affiliate program is hosted on ShareASale. Sports Box Co. has an average order value of $60. They provide affiliates with banner ads, promo codes, text, links, and tracking tools. Schools, sports leagues, and other teams can also use their affiliate programs as a fundraising tool. Customers can order 1 month all the way up to 12 month subscription plans which can drastically increase commission rates. Team Express offers a comprehensive selection of athletic equipment and sporting goods for every coach, team, and athlete. Customers can browse their easy to use website to find thousands of deals. They pride themselves on having the most knowledgeable customer service team and the widest selection of sports equipment. They use AvantLink to run their affiliate program. Team Express has an average order value of $100+. Affiliates receive a wide variety of marketing materials, affiliate tools, and frequent discount codes. They also have exclusive offers that are only available to their affiliates to help them increase conversion rates. NBAStore.com is the official online shop of the NBA. They offer the largest selection of officially licensed NBA merchandise and apparel from all 30 teams. Their product selection includes over 29,000 products ranging from jerseys, hats, t-shirts, collectibles, and more. They use ShareASale to manage their affiliate program. NBAStore.com invites bloggers, social media publishers, online forum operators, and website owners to apply. Their affiliate dashboard is stocked with ready to use tracking links and product ads to make it easy to start promoting right away. Their program is managed by an award-winning team of affiliate managers with over 35 combined years of experience. They are committed to helping their affiliates succeed. Sleefs creates and produces custom compression gear for baseball, football, basketball, golf, running, and more. They have over 200 different designs including college and university team branded sleeves in all sizes from kids to adults. Customers receive free shipping on orders of $50 or more and a 100% money back guarantee. Their affiliate program is run on Refersion. Sleefs has a large selection of products on their high converting website. Affiliate receive professionally designed banner ads and text links to help them promote. Their affiliate team makes it their goals to do whatever it takes to make their affiliate partnerships successful including helping affiliates get started and increase sales volume. Foot Locker is the top retailer of athletically inspired shoes and apparel in the world. They are a well known athletic footwear brand with over 3,400 stores in 23 countries. Their inventory includes the newest releases from top brands like Nike, Jordan, Adidas, and Under Armour. They offer a fit guarantee that includes free returns or exchanges in store or online. They use Rakuten Marketing to manage their affiliate program. Foot Locker helps their affiliates create their own sports store with links and sales incentives. Affiliates can promote on their website, blog, email campaigns, search listings, and shopping engines. Their affiliate program allows you to be as creative or simple as you like when promoting their products. Rally House is a sports boutique that specializes in collegiate and professional sportswear. They have apparel, gifts, and home decor from NCAA, NBA, NFL, MLS, and NHL teams. Customers can browse their selection of over 85,000 unique products. Their average order size is $50. Rally House uses Commission Junction to run their affiliate program. They provide affiliates with promotional codes and consistently updated marketing materials. Affiliates have access to their optimized product feed and deep linking tools on their affiliate dashboard. Now that you've discovered 10 great basketball affiliate programs, it's time to decide on what niche you want to target. You could focus on basketball memorabilia. SportsMemorabilia is the #1 source for authentic sports collectibles online. They offer a 12% commission rate for all sites except coupon sites which earn 3%. Another niche idea is basketball subscription boxes and other gifts for kids or adults for the holidays. Sports Box Co. has sports themed boxes aimed at helping kids improve their skills. Affiliates earn a 7% commission rate. You could also target NBA gear, or celebrating fandom of a specific NBA team. NBAStore.com is the official shop of the NBA with the largest selection of official NBA merchandise. They offer a 6% commission rate.